NO. 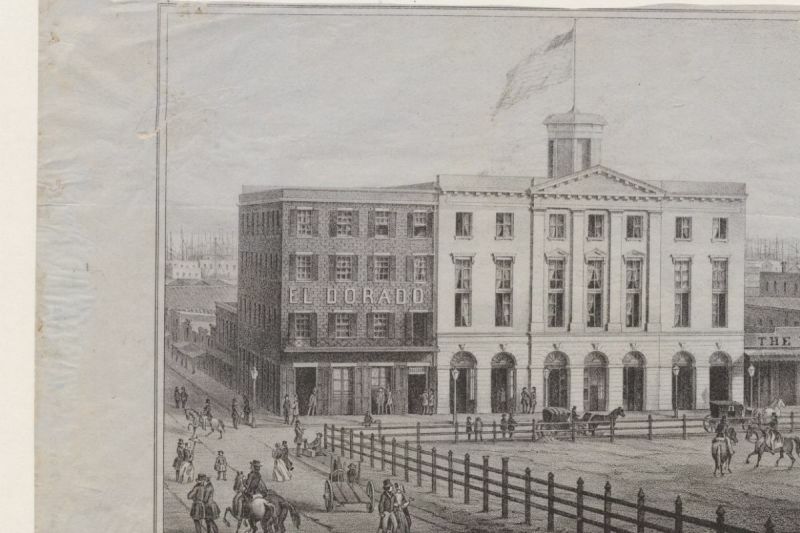 192 JENNY LIND, EL DORADO, PARKER HOUSE, AND DENNISON'S EXCHANGE - The 'El Dorado,' the 'Parker House,' and 'Dennison's Exchange' were among the most famous hotel and gambling resorts around San Francisco in the early 1850s. The Jenny Lind Theatre replaced the Parker House in 1850. 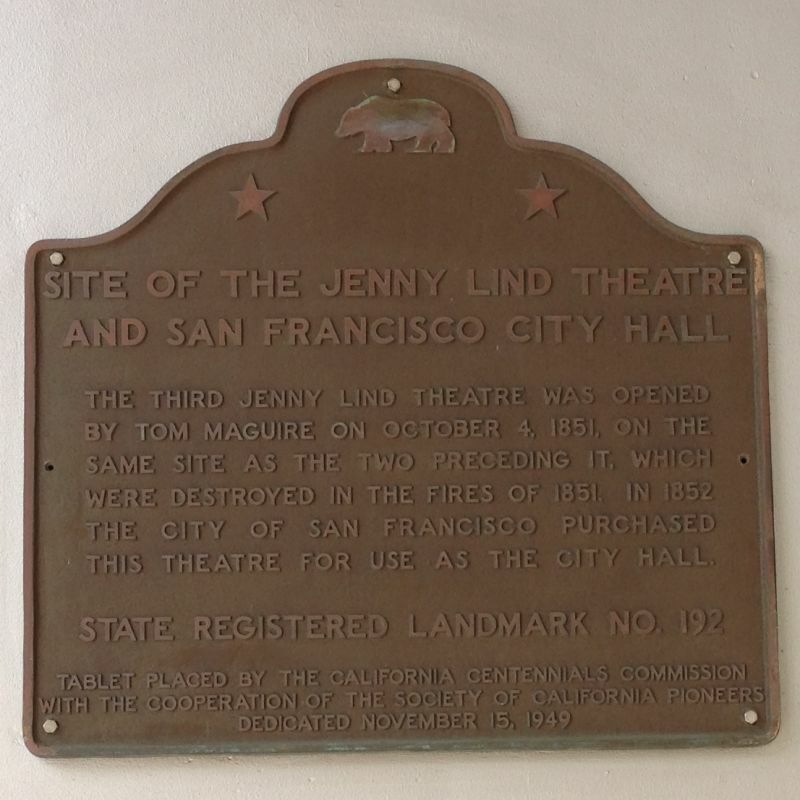 The third Jenny Lind Theatre, opened by Tom Maguire on October 4, 1851 on the same site as the two preceding it, which were destroyed in the fires of 1851, was purchased by the City of San Francisco in 1852 for use as the city hall. 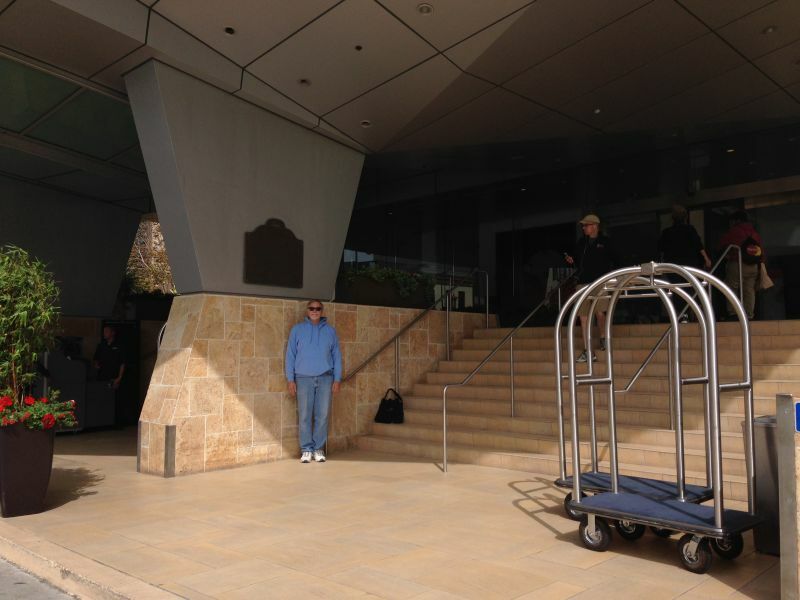 The Hilton Hotel, Financial District, now stands on the site of the Jenny Lind Theatre and the El Dorado.